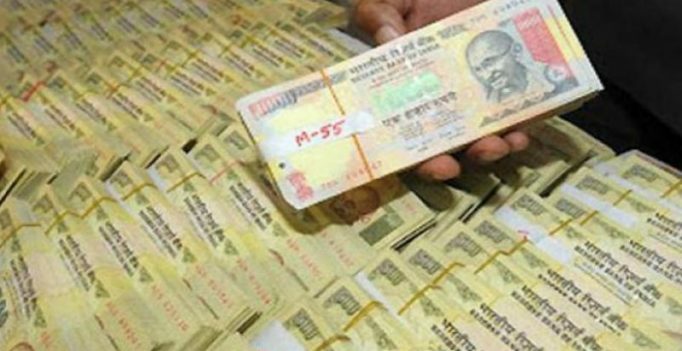 Mumbai: The Reserve Bank of India on Wednesday said it has received Rs 15.2 lakh crore worth of scrapped Rs 1,000 and Rs 500 currency notes, a revelation that the central bank had earlier refused to make public on various grounds. This is for the first time since November 8 last year that the top bank has come out with data on note ban. As much as 99 per cent of the junked Rs 500 and Rs 1,000 notes have returned to the banking system, RBI said. RBI added that just 8.9 crore pieces of Rs 1,000 notes or 1.3 per cent of the scrapped ones have not returned. It, however, did not give a specific number for the old 500 rupee notes. The central bank, of late, has said it will soon release lower denomination currency notes, as it was deeply felt that the government should bring back Rs 1,000 notes, an idea it had earlier flatly rejected. However, if recent reports are anything to go by, the government has hinted at its plans to bring back Rs 1,000 notes in their new avatar. The central bank has already released into the banking system the new Rs 200 notes which is expected to bridge the gap between Rs 100 and Rs 500 notes. Along with Rs 200 notes, new Rs 50 denomination notes were also issued to fulfill the conditions of remonetisation that promises enough cash supply. Earlier, the RBI while citing various constraints had refused to give out the exact number and worth of specified bank notes whose legal tender status was withdrawn ‘abruptly’. RBI governor Urjit Patel had also failed to present any exact figure before Parliament’s Standing Committee of Finance. Patel had said that the counting of illegal tenders was still going on. Patel had even went a step further and told the panel that it was lack of counting machines that has delayed the process and he expects, soon, the central bank will come up with exact numbers on demonetisation. Earlier, the RBI had even rejected RTI pleas seeking details on demonetisation citing ‘national interests’. On November 8 last year, Prime Minister Narendra Modi announced the ‘overnight’ ban on Rs 1,000 and Rs 500 notes in a television address, thus giving no or less time to black money hoarders to dispose off their currency stocks. Modi had said the step was being taken with an aim to curb the large scale counterfeiting of Indian currency notes. He had also said the move will put an end to diversion of unaccounted funds for political donations.